What’s the secret ingredient to unlocking your superpowers? When you hit a lull, you may wish you had a wand, alien rocks, or even radioactive spiders to win the day. 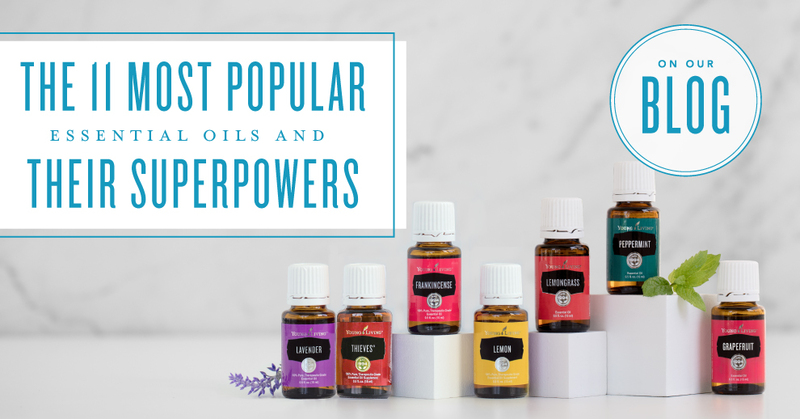 If you’re looking for a super boost that will help you feel motivated to accomplish heroic feats, then it’s time to tap into some plant power and start using essential oils! Look out, a giant to-do list is headed your way! Reach for the comforting aroma of Lavender essential oil, which is good for both relaxation and soothing your skin. Put a pep in your step with the minty freshness of Peppermint essential oil. 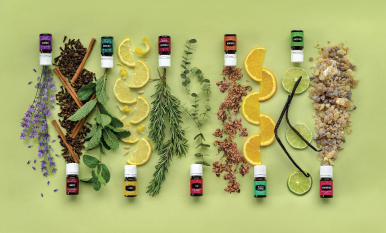 If it’s a flurry of flavor you’re after, don’t forget about our Vitality™ oils, which are labeled for internal use! Lemon essential oil offers a bright, happy scent, perfect for gloomy days. Get the boost you need from this oil’s cheerful aroma. **Avoid direct sunlight or UV rays for up to 12 hours after applying citrus oils, due to their photosensitivity. Feeling a little frazzled? Time to get grounded and find your center again with the uplifting aroma of Frankincense essential oil. You can cover more ground when you pair up with thieves—Thieves Essential Oil blend, that is! The purifying scent of Lemon, Clove, and Cinnamon is found in more than a dozen Young Living products, so you can stash this powerful concoction anywhere you might encounter monstrous odors. Like Lemon, the aroma of Lemongrass essential oil offers a rejuvenating breath of fresh air. Release this sweet scent to tackle sour smells and send them packing. Cedarwood essential oil is a natural deodorizer and the likely choice for a loyal sidekick, thanks to its versatility. This timeless, familiar aroma can be added to almost any other blend or botanical to give it a sweeter, earthier profile. An unexpected and somewhat mysterious aide, Vetiver essential oil has a woodsy aroma that can invite a soothing, comforting ambiance into any space. You might not think to keep Oregano essential oil in your arsenal; but once you do, you’ll wonder how you ever managed without it. Use Oregano everywhere from the kitchen to the massage table! Do you need something to power your second wind? Blast through any final challenge with the uplifting, energizing scent of Grapefruit essential oil. 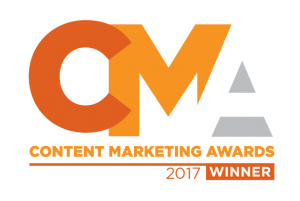 Recuperation is important when you’ve completed a heroic task, so set yourself on the path back to 100 percent with R.C. 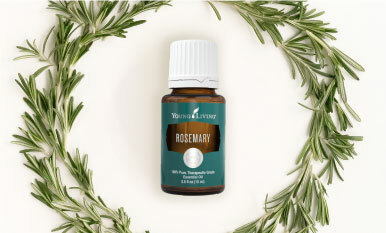 essential oil blend, which features Spruce, Cypress, and three types of Eucalyptus. Looking to narrow down your oil wish list to just the essentials? Read our blog on the 7 essential oils you won’t want to live without to bolster your collection without going overboard. Some of the best oils are multitaskers! Find out more about the 6 oils that do (almost) everything in this blog post. 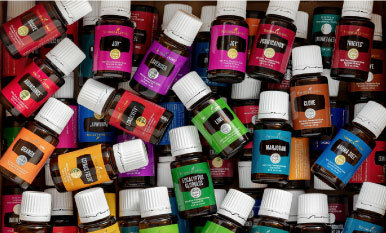 Our free essential oils giveaway will set you up with a super collection of our favorite aromas! We’re giving away a bottle of Grapefruit, Peppermint, Lavender, Cedarwood, and Thieves to three randomly selected people who comment on this post. For your chance to win, just comment below. We’d love to hear your tips for a supercharged day! Contest ends at 11:59 p.m., MT, on Sunday, May 27. Three winners will be chosen at random and announced on this blog post Wednesday, May 30. Thanks for all your comments, everyone. We love hearing about how you use Young Living products in your lives.